Tickets to next game on sale! Sky-blues won in Nitra over Sereď 4:1. Our goals were scored by David Strelec, Marin Ljubičič, Andraž Šporar and one goal was own by Adekuoroye. We are first with 61 points. Our team has won in Senica 2:1. Goals were scored by Moha and Marin Ljubičič. We are still first in league ranking without any loss. 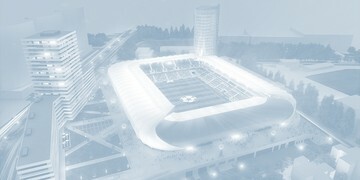 Sky-blues opened the new stadium Tehelné pole with a victory over Spartak Trnava. Both goals were scored by Andraž Šporar. The stadium was sold out by 22 500 spectators. Slovan won fourth game in row and beat Sereď 1:0. Our goal was scored by topscorer of competition Andraž Šporar. Our team has won in first spring round of Fortuna league in Dunajská Streda. We are first in league ranking, with 11-points advantage to Dunajská Streda. Sky-blues won over Spartak Moscow 3:1. Na blížiaci sa zápas Slovan vs. Ružomberok snáď nie je lepší expert ako náš bývalý hráč a zároveň niekdajší tréner Liptákov - Norbert Hrnčár. V “Názore experta” sme sa ho spýtali aj na rozdiely medzi českou a slovenskou ligou. Ešte donedávna tréner Karvinej prezradil, v čom za Čechmi zaostávame, ale povedal aj čo má naša liga lepšie. Let´s look to the latest pictures from new stadium at Tehelné pole. 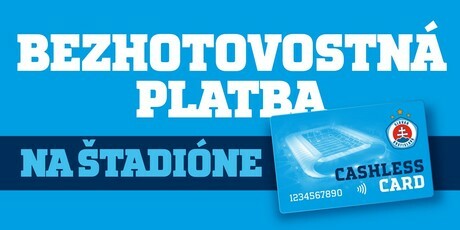 Purchasing the tickets for the home games of ŠK Slovan Bratislava.